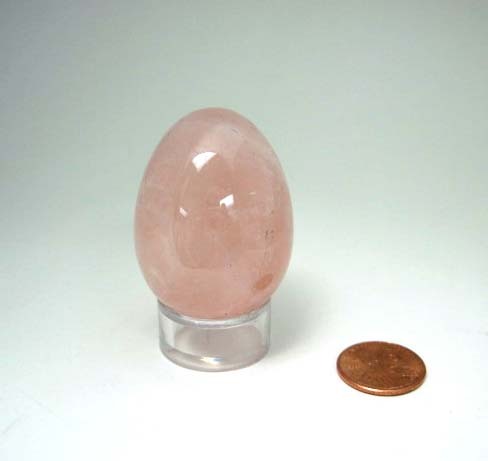 30mm and 1 1/2″ Rose Quartz Egg. Rose quartz is known as the love stone. It helps the user feel a strong sense of self-worth, therefore being worth love. It is the stone of universal love. It is also the stone of love in marriage. When worn in jewelry the wearer feels a sense of self-worth. It helps to dissolve feelings of isolation and mistrust. Rose Quartz has a gentle vibration of love for the owner. It gives inner peace and helps in all matters pertaining to love in all its forms. Rose Quartz opens the heart to love. Placing a chunk of Rose Quartz in the home provides a gentle loving energy throughout the house. 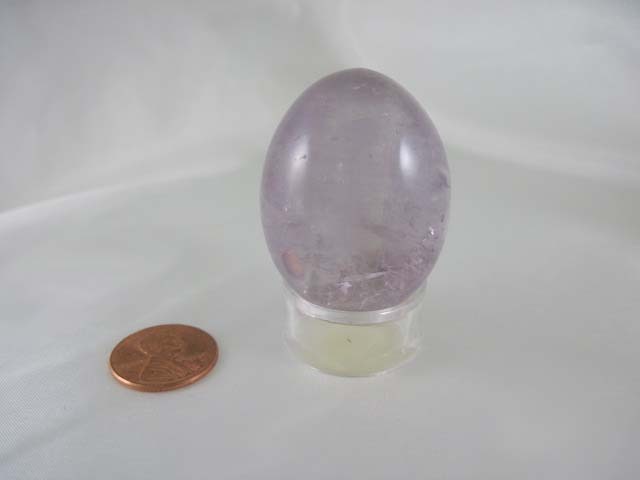 30mm round by 1 1/2″ tall light Amethyst Egg. Amethyst is prized for it’s use in opening up to one’s own intuitive ability. It is used for spiritual protection and purification. It has been used to curb addictions. It stimulates the crown chakra and aids meditation. It is used by healers. It can bring balance and well-being to a wearer of the stone. It helps balance the nervous system and the brain and any disorders associated with them. It also assists with insomnia. It can be grounding for those who are not comfortable in their body. 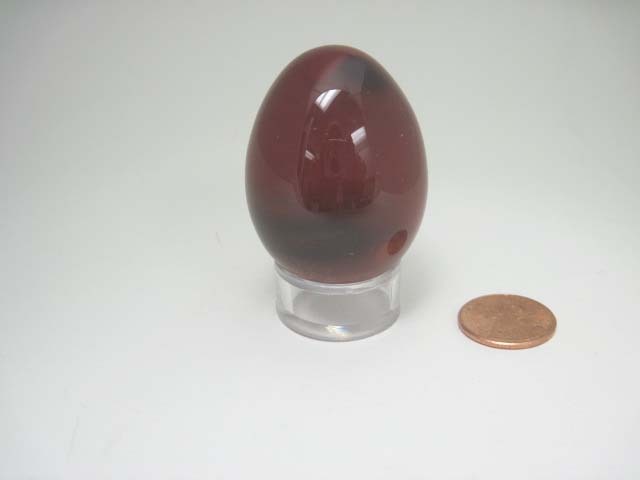 This is a beautiful red Jasper Egg with some black.